Everyone has a reason or an excuse why they feel good or not. We are here to listen and help! ​Results based programming through efficient exercise, appropriate nutritional habits and implementing stress/time management techniques. 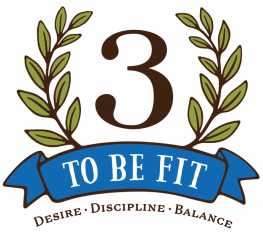 What is the meaning behind 3 To Be Fit? In the last 22 years of teaching and helping others, I have found that there are three best ways to become more healthy and fit. your dreams, goals and aspirations! your desire to become fit and healthy! your family, work, social and healthy commitments! Sign up with our Fantastic 3 To Be Fit Programs! OUR GROUP AND/OR INDIVIDUALIZED PROGRAMS will incorporate efficient exercise, balanced nutrition, stress and time management techniques to accomplish your goals! Call Jeremy at 716-425-7444 to sign-up for our programs. Independent Health's FlexFit Active and PersonalBest! Debit Cards Accepted Here! © 2015 • 3 To Be Fit • Blasdell, NY USA • Worldwide • All Rights Reserved.